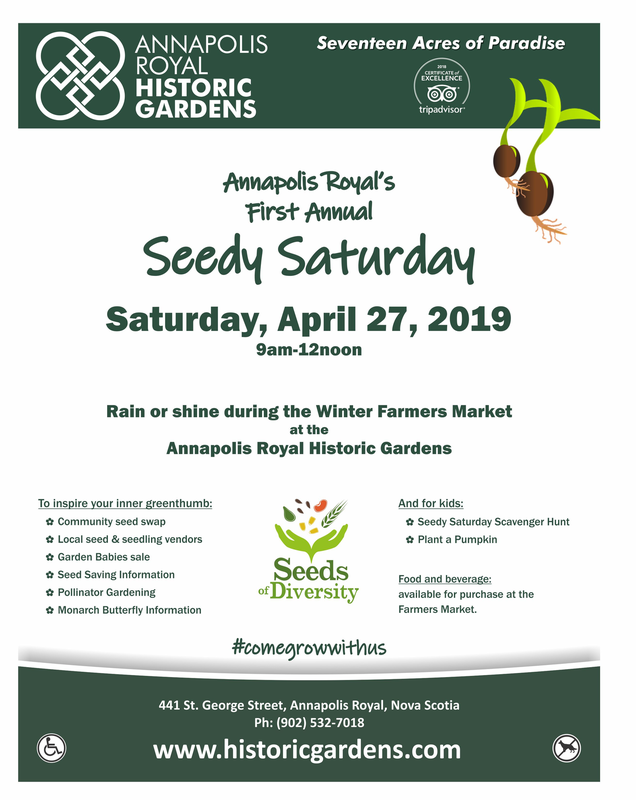 Things are getting seedy at the Annapolis Royal Historic Gardens, and that is a great thing! The Historic Gardens is hosting their first annual Seedy Saturday. 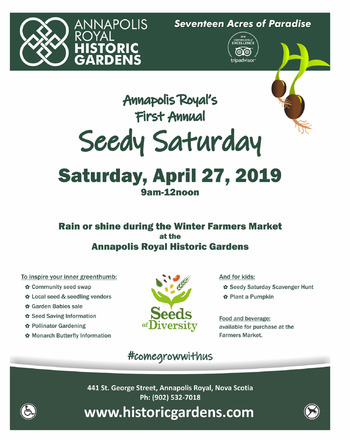 Part of a national movement started by Seeds of Diversity, Seedy Saturday is an opportunity for those interested in plant propagation, open pollination, heirloom seeds, locally grown produce and all things seed related.